Strengthening, revitalizing and soothing. Along with frankincense, myrrh, rose and spikenard, Galbanum Essential Oil was treasured by the ancient Egyptians for its embalming, healing and spiritual qualities, and was jealously guarded for use only by royalty and nobles. Galbanum Essential Oil is valuable in skincare for softening wrinkles and revitalizing tired, dry skin since it stimulates the circulatory system and encourages skin cell renewal. This quality makes it highly beneficial when used in massage blends to relax and soothe tense or tight muscles, and stiff aching joints. This essential oil has a unique, intensely leafy-green aroma with musky overtones that encourages balance and promotes stability in a stressful world. 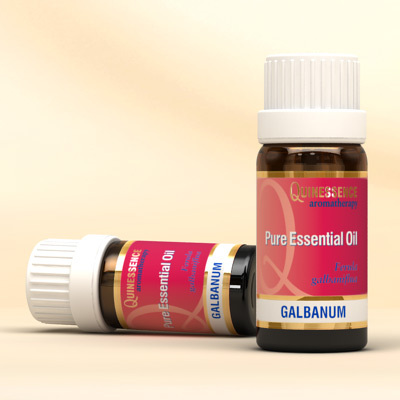 A little goes a very long way with Galbanum Essential Oil, so use it sparing when using it in blends or it easily dominates!